The Supreme Court on Thursday reserved its judgment on the question whether its 2006 decision in M. Nagaraj requires reconsideration by a larger bench. At the hearing on Wednesday, senior advocate Rakesh Dwivedi, who represents those opposing quota in promotions, had told the bench that earlier there was presumption of backwardness with regard to scheduled caste and scheduled tribe communities. On Thursday, it was reiterated that the constitutional rationale behind reservation was to aid in the upliftment of the socially, educationally and economically backward and that even those in whose respect this object has been realised could not continue to use the “crutches” of reservation in perpetuity. It was argued that the times were past when certain classes faced oppression on account of their caste or social status as were the times when there used to be such oppressors. It was insisted that the states satisfy themselves of the persisting backwardness in extending the benefit of reservation in matters of promotion to a candidate and not merely be influenced by the poor condition of a few members of his class. The bench was of the opinion that the criterion of ‘backwardness’ did not hold much water so far as the SC/ST are concerned and that the states be guided by the the inadequacy of their representation in the services in according reservation. In his turn, Mr. Naphade urged that the court be very cautious in displacing the law as laid down in M. Nagaraj, bearing in mind the interests of persons to whom it has been applied. He submitted that if it were the contention of the State that there has been no significant improvement in the scenario of the SC/ST since the quota system was envisaged in the Constitution in 1950, the situation could only be imputed to the government. Pressing for a reconsideration, the AG has objected to the requirement of proving backwardness for the SC and ST where this criterion is already purported to be satisfied by notification under Articles 341 and 342. He stated that certain members of these classes may have advanced educationally and economically but the social stigma attached to them subsists, with the upper-castes continuing to eschew them. 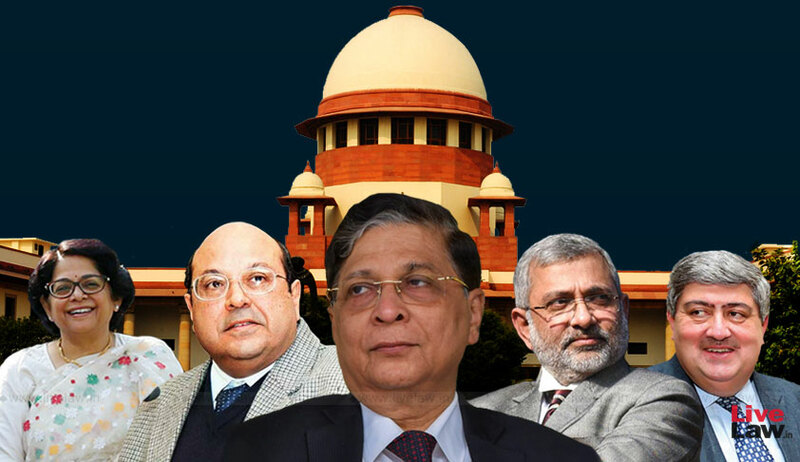 It was indicated how the constitution bench in E. V. Chinnaiah (2004) had set aside the apportionment made by the state of Andhra Pradesh of the 15% reservation for the SC in the educational institutions and in the services of the state amongst 4 groups depending on the extent of backwardness. “This is a provision for affirmative action...for thousands of years, these classes were subjugated...they could not walk on the streets with the upper castes...the State has to protect them...as per me, they should be given the same number Of posts in promotion as they are entitled to in matters of appointment, depending on population of the states”, was the stand of the AG who has prayed for a 22.5% reservation, 15% for the SC and 7.5% for the ST. The AG has sought for M. Nagaraj to be reconsidered by a larger bench in view of the seven and nine judge bench decisions in N. M. Thomas (1976) And Indira Sawhney (1992) respectively where it has been held that there is a presumption of backwardness in respect of the SC/ST and that the ‘creamy layer’ concept does not apply to them. Last week, The Bench had inquired if the progressive members of the SC/ST could be regarded as backward so as to deserve the reservation not only at the stage of recruitment but even in promotions. “suppose ‘X’, by virtue of reservation, has become the secretary of a state, will it be logical to treat him or his family as backward?”, the Chief Justice had asked. “Your status of SC is not taken away but room is made to determine whether you are entitled to the benefit of reservation in promotions”, he had remarked.